I want to swell your TBR list a little. 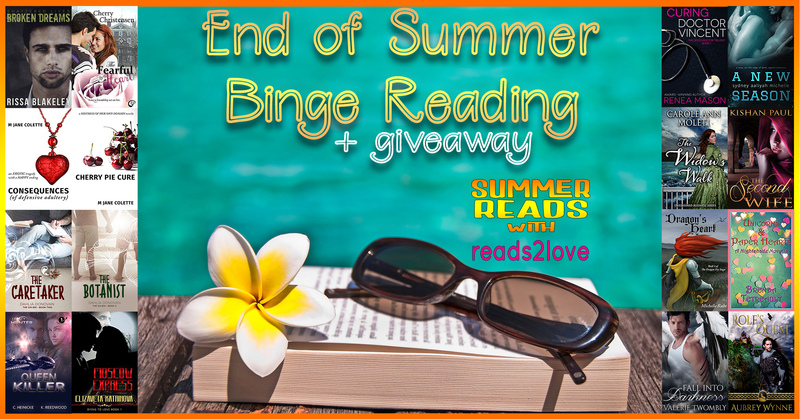 🙂 Cherry Pie Cure and Consequences are both part of this final summer promotion at the fab Reads2Love along with some other interesting titles–pick up some great free, $0.99, and other sale priced reads and enter for a chance to win a $5 gift card to help feed your reading habit: End of Summer Binge & Give Away. and so I think you should go check out her (five star! woo-hoo!) 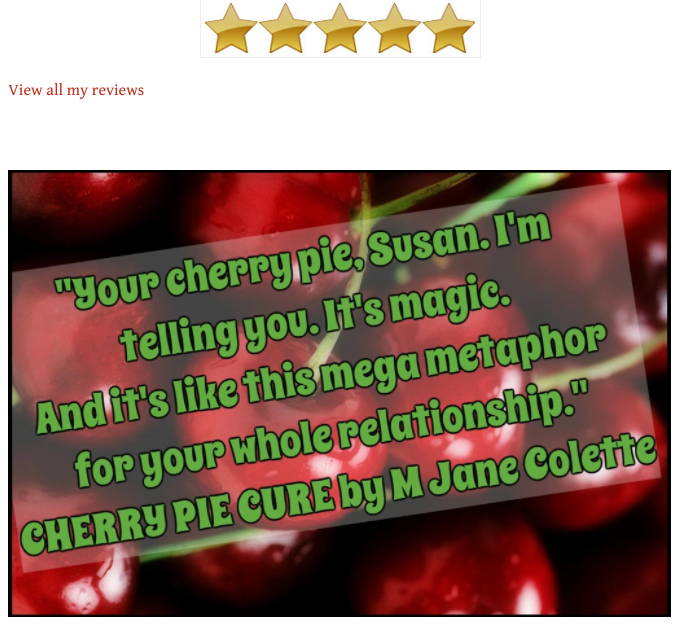 review: My Review of This Fun Rom-Com: Cherry Pie Cure by M. Jane Colette. Finally… do you know the poet Jack Gilbert? He is… precociously talented. The things that man can do with words… He published only a handful of books of poetry–three, I think–decades apart–but he is… OMG. If you had poetry ruined for you by an evil English teacher in high school, Jack can save you. But–I’m not trying to convert you to poetry. I’m telling you about Jack because I just found out that Jack also wrote a porny novel in his middle years. Ok, that truly is it. Be good, and if you can’t be good–be safe.